EDINBURG — A Mission man faces up to life in prison after he was formally charged in connection with a Tuesday night shooting in rural Mission. 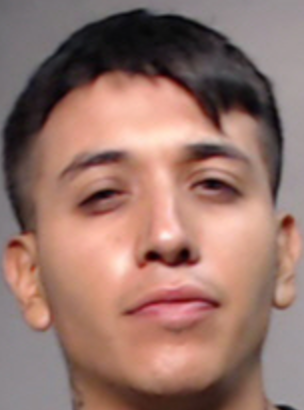 Arturo Gomez Zermeño, 23, stood in front of a justice of the peace and heard the charge against him a day after he surrendered to sheriff’s officials who had named him as the main suspect in the shooting of an unidentified man. Gomez was formally charged with one count of attempted murder in relation to a shooting Tuesday night that left one man with serious injuries. Gomez was named as the main suspect after deputies responded to a shooting at about 11:30 p.m. Tuesday near Cardinal Delta Street and Iowa Road north of 7 Mile Line Road in rural Mission. When they arrived they found a 45-year-old man with a gunshot wound to the head, sheriff’s officials said. The man, who was not identified, was transported to a hospital where he remains in critical condition. A call for an update on his status was made to sheriff’s spokeswoman Jena Palacios but the call has not been returned as of this posting. Gomez remains in custody after he had his bond set at $500,000, according to jail staff.